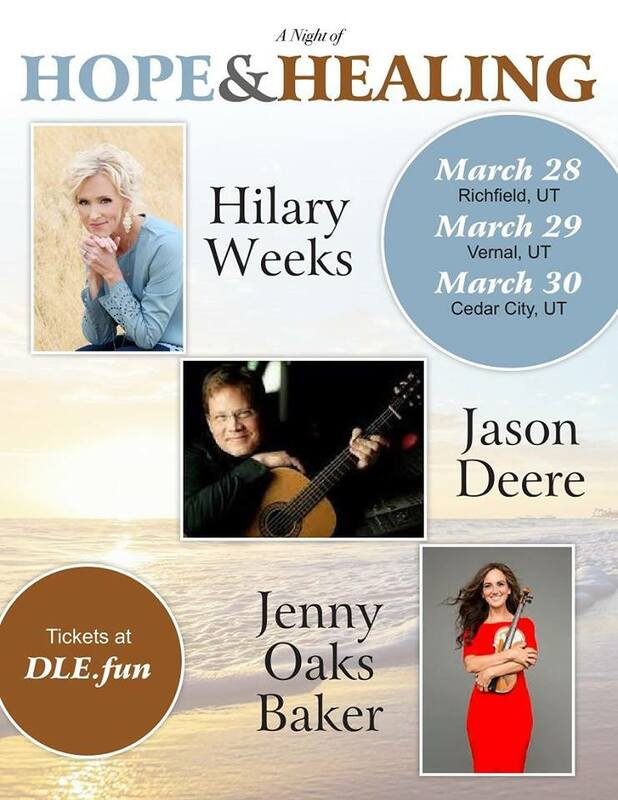 A Night of Hope and Healing will be held 7:00 pm at the Heritage Center Theater (105 N 100 E, Cedar City), tickets are $15 balcony seating, $24 premier seating, & $35 golden circle seating. This exclusive micro tour brings together three incredibly talented, uplifting Christian artists who are sure to deliver unforgettable performances! Featuring three performers including Hilary Weeks, Jason Deere, & Jenny Oaks Baker.